The beIN Media Group says it "refutes all accusations" after the Swiss attorney general's office (OAG) opened criminal proceedings against the company's CEO Nasser Al-Khelaifi and former FIFA secretary general Jerome Valcke. The OAG announced on Thursday it is investigating the awarding of World Cup media rights for the 2026 and 2030 tournaments. The proceedings relate to an ongoing OAG investigation into Valcke that began in March 2016 and was opened on "suspicion of various acts of criminal mismanagement". 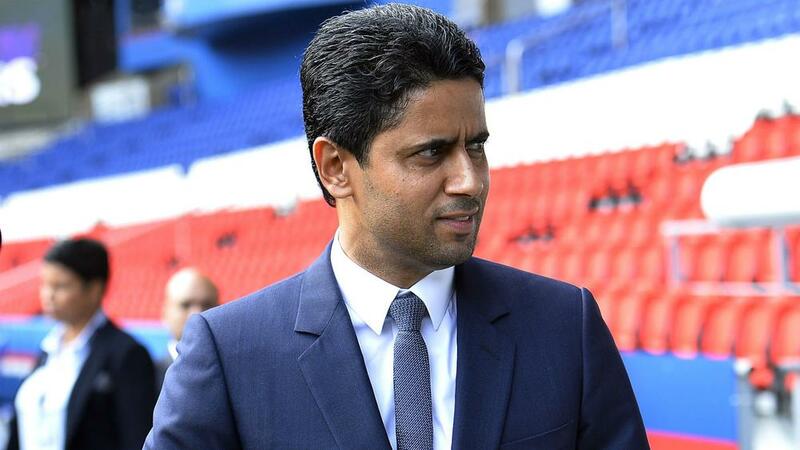 Findings obtained in that process have led to a separate line of inquiry involving PSG president Al-Khelaifi. The OAG stressed "no one has been on remand" and "the presumption of innocence applies". In a statement made later in the day, beIN confirmed its French offices had been searched but rejected any suggestion of wrongdoing. "Following a request by the office of the Attorney General of Switzerland (OAG) the beIN SPORTS office in Boulogne-Billiancourt (France) were searched this morning," the statement read. "The employees on site cooperated with the authorities until the end of the search. "beIN MEDIA GROUP refutes all accusations made by OAG. The company will fully cooperate with the authorities and is confident as to the future developments of this investigation." Addresses in France, Greece, Italy and Spain have been raided in relation to the investigation. Valcke - who was interviewed on Thursday - is in the process of appealing against his 10-year ban from football at the Court of Arbitration for Sport. The Frenchman was found guilty of a series of breaches of FIFA's code of ethics and was sacked in January 2016, though he has always denied any wrongdoing.